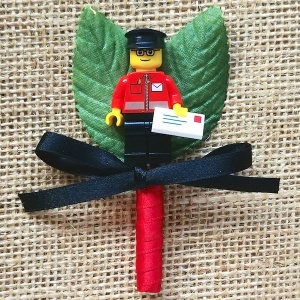 This fantastic boys buttonhole is made with a genuine lego Postman mini figure. Backed with two faux green leaves and finished with your choice of ribbon satin bow & stem. 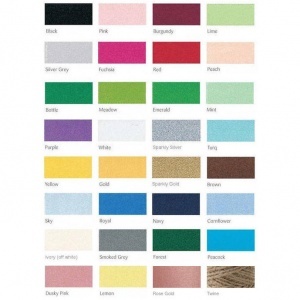 A pin will also be supplied for a secure fit to the lapel. A delightful and unique accessory for a wedding.